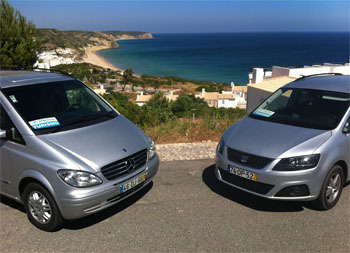 Direct TAXI Transfer Service FROM / TO Faro Airport TO / FROM Lagos, Praia da Luz, Burgau, Salema, Sagres, Aljezur. Small or big Groups we are here to help you and your Family/Friends to arrive at the Villa / Apartment or Resort / Hotel in time and safety. All our FARO AIRPORT TRANSFERS are operated by friendly and qualified English speaking drivers. For AIRPORT TRANSFERS we have a Vehicle Fleet for small or large groups, ideal for Family Holidays, individual or business trips, arriving at FARO AIRPORT or traveling in the ALGARVE. We have children seats available, please request them at reservation form with correct ages so we can organize the adequate ones. Please notice that police and traffic regulations are very strict regarding the use of child seats. We have a 24 hour TRANSFER service. Use our quotation system to check our TRANSFERS prices from / to FARO AIRPORT or other places.